Is there anything better than brightly colored leopard print? I thought not! This belt by Tucker is $60 at Les Nouvelles. 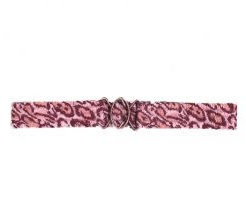 This sounds expensive for a belt but I know I wear my leopard print belt all the frakking time so at the end of the day it's totally worth it - you gotta look at cost per wear!